Just remembered: <br/> <br/>Least: <br/> <br/>Kano Primary. Awww, poor Kitana . Everyone are hating on her. You guys dissapoint me. Hair Smoke could look awesome with better hair physics. I'm usually in the minority on this particular issue but when it comes to costume designs...ANY costume designs I always tend to prefer the more streamlined simpler suits. Anytime armor is introduced on a character it just makes me cringe. especially if its armor on a character that doesn't need it. I mean really, Why does scorpion need armor on his costume? He's already dead so the need for him to protect himself is just completely absurd. the same can be said for any character that is basically immortal. It's a moot point. Besides where its just comic book art or in a video game everyone seems to be in a habit of adding as much unnecessary detail as possible but the fact of the matter is the less busy a costume is the better it looks. Good designs : <br/>Shang's main and Alt. <br/>Scorpion's Alt <br/>Sub Zero's main <br/>Noob's main. 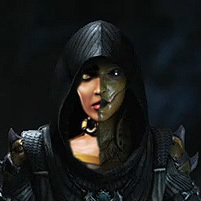 <br/>Kung Lao's main <br/>Sektor's main and alt <br/>Cyrax's main and alt <br/> <br/>Bad designs : <br/>Everything else especially females. For the most part Kitana's costumes were awesome in 2011 and way overdue. She should have had these way back in Deadly Alliance. My biggest disappointment was the lack of a Reptile human form costume. You guys are all haters. My girl looks amazing in this game. My most favorite design in the game is probably Smoke's primary costume, as it presented him in an entirely new light. <br/> <br/>Another favorite of mind would have to be Nightwolf's alternate costume. 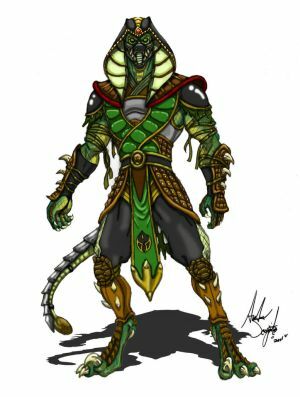 <br/> <br/> <br/>My least favorite is definitely Reptile's costumes. He looks like a pathetic, disposable grunt, not a horrifying warrior who's claimed the lives of millions all over the realms. I was sorely disappointed with his look. 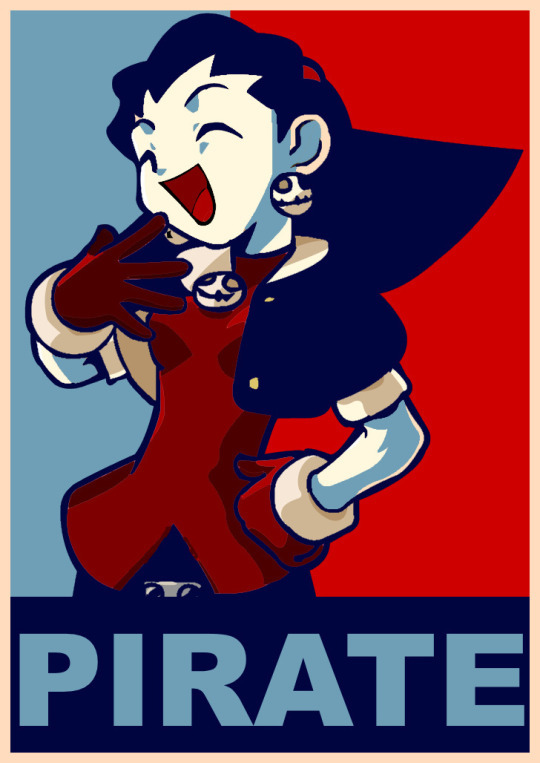 <br/> <br/>Another least favorite of mine is Sonya's primary. I find the exposure of her breast to be very insulting to her character. Sonya is not the type of woman who'd show so much skin. She should always be well clothed. My most favorite design in the game is probably Smoke's primary costume, as it presented him in an entirely new light. Another favorite of mind would have to be Nightwolf's alternate costume. My least favorite is definitely Reptile's costumes. He looks like a pathetic, disposable grunt, not a horrifying warrior who's claimed the lives of millions all over the realms. I was sorely disappointed with his look. Another least favorite of mine is Sonya's primary. I find the exposure of her breast to be very insulting to her character. Sonya is not the type of woman who'd show so much skin. She should always be well clothed. Scorpion's 2nd costume looks great! <br/> <br/>Though I'm not a big fan of how the Classic MK! Ninja's look, they look...hooded. At least last time I checked. Scorpion's 2nd costume looks great! Though I'm not a big fan of how the Classic MK! Ninja's look, they look...hooded. At least last time I checked.